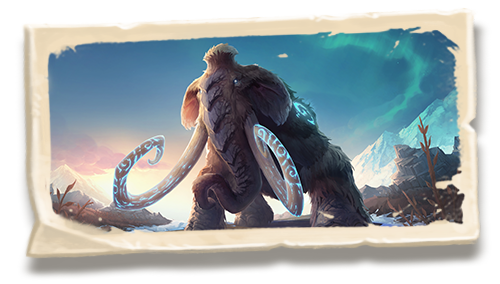 With the Year of the Dragon swiftly approaching let's take a moment to remember and celebrate the Year of the Mammoth which will soon be rotating to Wild. Join us for a Mammoth send-off! Brawl Block: Year of the Mammoth – The Tavern Brawl starting in the week of March 25 invites you to take those free cards and build decks using only expansions from the Year of the Mammoth. Shadows Rise in the Tavern! - The Tavern Brawl starting in the week of April 1 gives you an opportunity to earn a Rise of Shadows pack that you can open once the expansion is released. It will be necessary to re-download app data, but Hearthstone will take up a lot less space now! Reroll Legendary Quests – To give players more freedom over how they’ll be rewarded while playing Hearthstone, we have now added the ability to reroll legendary quests (Special event quests, Expansion launch quests, etc.) into standard daily quests. Random Card Back Selector – Let the Innkeeper curate your card back collection. If your collection has 5 or more card backs, just select the Random card back for a deck, and a random card back from your Collection will be chosen each time you play. Golden Heroes Now Count Arena Wins – Go for the gold in the Arena! We are updating the 500 Wins requirement for Golden Heroes to include Arena wins along with Ranked wins. NOTE: This will only apply towards Arena wins earned after this update is live. Any past Arena wins will not count towards the 500 Wins total. Complete My Deck – Hearthstone’s better at helping you build decks than ever before. Helps you build established, proven decks using your collection. If you’re short of an established deck, the helper will help you choose the strongest stand-alone cards from what you have available. NOTE: This feature is currently disabled in the Wild format. Please stay tuned for more info on when you can use the smart deck builder to help construct Wild decks. Fixed several issues that could cause User Interface elements to overlap. Fixed an issue where Gral, the Shark’s effect could cause the eaten card to appear permanently on the gameboard. Playing Gral, the Shark will no longer cause visual effects to display on incorrect parts of the board. Gral, the Shark will now correctly gain the extra stats if the minion it eats was buffed in the deck. Fixed a visual issue with the effects in Rastakhan’s portrait. Nozdormu's visual effects will no longer persist after he is transformed. The Boomsday! card back will no longer light up during the mulligan phase. The lock icon for future overloaded mana crystals will no longer be erased after playing Mojomaster Zihi. Fixed issue where Magnetic minions could incorrectly execute their end-of-turn effects additional times after being bounced and replayed. Astromancer now correctly summons a minion immediately next to her instead of the far right of the board. If Big Bad Voodoo's effect triggers on a minion that doesn't have any valid minions to evolve into, it will now summon a random minion of equal cost. Fixed an issue where mulliganed cards would not be tracked as having started in your deck. Kalimos' Invocation of Water's card text will no longer indicate that the effect will be doubled while Prophet Velen is in play. Fixed an issue which could cause the Mass Disenchant menu to show an incorrect amount of cards and dust. Fixed an issue where a person on your Friends list would show their last rank if they set themselves to appear offline instead of going offline. Fixed an issue where Card Backs earned from completing a Heroic Adventure would not show up properly in the Collection Manager. Returning players who had not previously completed the tutorial or a PvP match will now be included in the New Player Ranks. Fixed an issue where players could sometimes get stuck on a loading screen if they tried to spectate a game that ends before they finish loading. [Reconnect] Addressed an issue that could cause players who were attempting to reconnect to Arena matches to lose additional matches. [Reconnect] Fixed an issue that could cause players who were attempting to reconnect to matches to become stuck in an infinite reconnect loop. [Rumble Run] Choices from Branching Paths will no longer trigger twice with Pirate's Mark in play. [Mobile] Fixed an issue that could cause some sound effects to fail to play even after all sound files had been downloaded. [Mobile] Fixed an issue that could cause the text bubble for the adventure announcer to appear incorrectly sized. [Fireside Gatherings] Fixed an issue that could cause missing and duplicate patrons in the friends list when connected to a Fireside Gathering.